Warrior Marathon Runner: 300th marathon finish! Believe in Yourself! 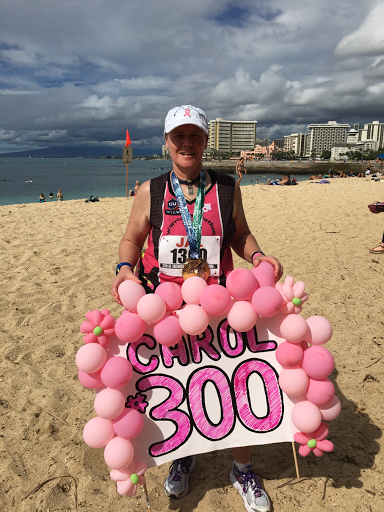 I did and I finished my monumental 300th marathon today in Honolulu! Words can not describe the feelings I had as I approached the finish line! So many emotions, memories and special people overwhelmed my thoughts! No one can ever question my courage or my strength. I have never quit and I will never give in! I am not stopping here, I have marathon #301 planned in 4 weeks in Phoenix! Cancer didn't win this battle, I won this battle! Unstoppable!